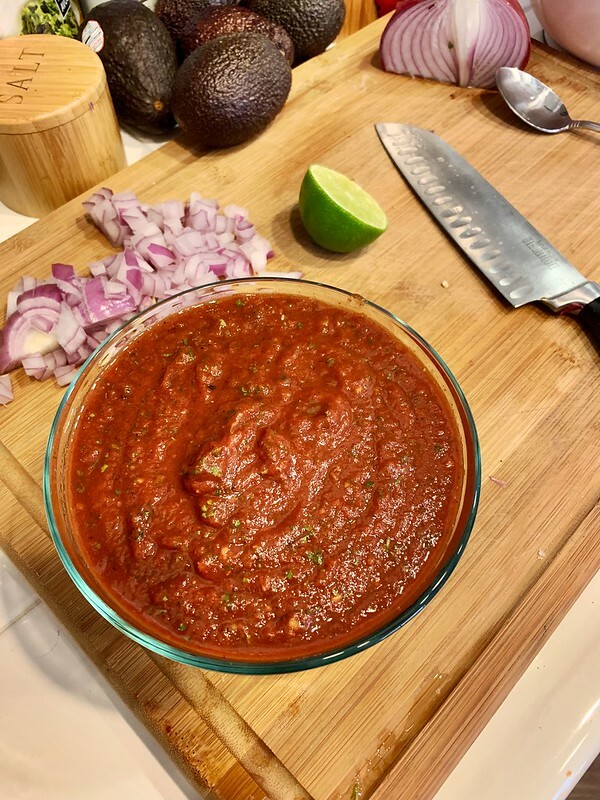 I have reached the point where I am tired of trying to find the right “jarred” or pre-made salsa, and am now on a mission to begin making my own salsas from scratch. 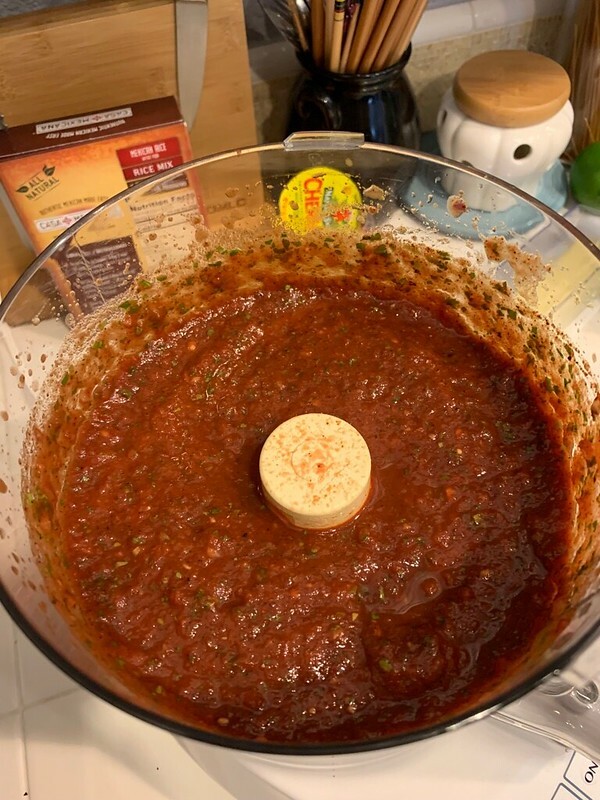 It’s a very odd thing but, I have made salsa from scratch exactly 0 times before this past weekend. At least, I can’t remember ever having made my own. Which is a weird thing. My dad would make homemade salsa periodically. It’s good salsa but very chunky, which isn’t my favorite texture for salsa, so I never really was interested in making his. It is good, though. I don’t know, I always resorted to just buying salsa from the store, whether jarred or the “more fresh” ones from the deli areas. And if I wanted any kind of “real” salsa, I just went out to restaurants to get my fix. No more! I need to start making my own, which means experimenting with ingredients and textures until I get something that I really like. This past Saturday, I started with my first one. It’s slightly modified from this recipe on Serious Eats, where I omitted the sugar, used fire roasted tomatoes, used one each serrano and jalapeno pepper, and opted for red onion instead of a yellow. I also opted for chipotle chili powder for some extra flavor. On a scale of 1 – 10, I rated it a solid 8. I liked the way my food processor turned it into almost the exact texture I wanted. I love the color of it, especially the little green specks of cilantro. It had decent heat to it. I just wanted something… more. I think that the tomatoes I used were a little too sweet, still. It did turn out good enough where I can see coming back to it, working it into a regular rotation. Perhaps for those occasions where I need to lean on a tried and true recipe.